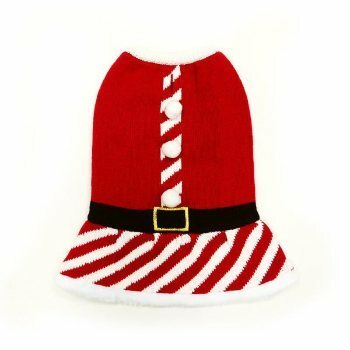 What a great way to celebrate the holiday with your pooch in this festive pullover sweater dog Santa dress. Features pompom button, belt, and diagonal pattern design. The Santa dog dress by Dogo has a leash hole and is available in sizes xxs - 2x. Need a gift for a pet lover? Purchase an e-gift certificate, makes a perfect gift! 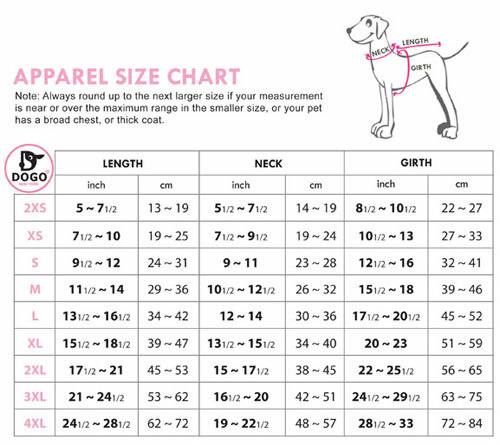 Fancy Collars, Custom Leather Collars, Dog Clothing, Leather Dog Harnesses, Small Dog Harnesses, Dogo Pet, Dog Coats, Holistic Pet Food, Grain Free Pet Food, Pet Supplies, Stella & Chewy's, Fussie Cat Food, Blue Buffalo, Natural Balance, Fromm Pet Food, Wellness, Merrick, Zignature, Evangers, Taste of The Wild, Whole Earth Pet Food, Royal Canin & More.